Are you looking for a fun Christmas candy craft you can do with your kids this year? If so, these reindeer candy canes are the perfect option. 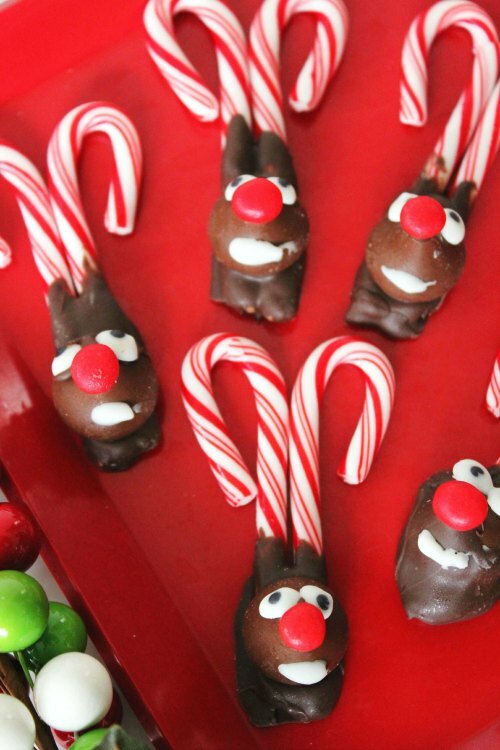 They are completely adorable, fun to make, delicious to eat, and perfect for Christmas. Made out of common ingredients you can find just about anywhere, these reindeer candy canes are easy to put together. 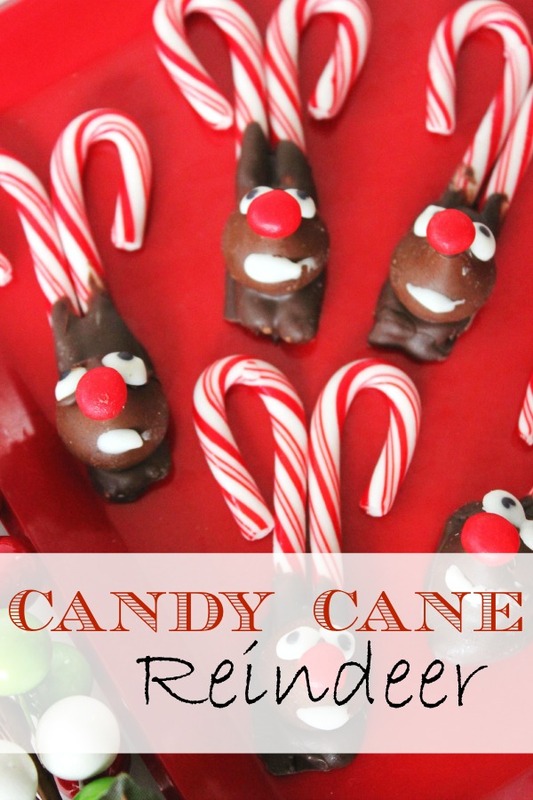 Just melt the chocolate, dip the candy canes, top with a Hershey’s kiss, and use a toothpick to add the details. Make all of your reindeer the same, or have a ball making all nine of Santa’s reindeer. You could even make pretty reindeer and silly reindeer as well. Get creative! After you make this fun candy craft, you have a few options. You can eat them right away, take them to a holiday get-together or even hang them on the Christmas tree. (Just make sure the tree is in a relatively cool location so the chocolate doesn’t melt!) You could even package them and send them with your children for their class parties at school. The kids are sure to love them! Unlike other Christmas treats, which are often scarfed down by the handful, the candy canes in these treats mean that they take a little longer to enjoy, and so they probably won’t go quite as fast. Be sure to make plenty though. After your family tries the deliciousness of peppermint and chocolate together, they are sure to come right back for more! Heat chocolate candy chips by microwaving for 30 seconds stirring and repeating until melted. Take 2 candy canes and dip the bottoms (straight parts) in chocolate and shake off excess. Place together on wax paper so hooks of each go off in opposite directions. Place an unwrapped Herhey Kiss on the chocolate covered canes. Using a toothpick, take a dab or melted chocolate and glue the red candy on top of the kiss as the nose. Using a toothpick, take a dab or melted chocolate and glue on the eyes. Take the white chocolate chip and place on wax paper and heat in microwave for 15 seconds. Take another toothpick and paint a white mouth on each reindeer.